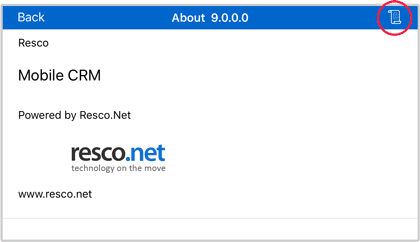 The Resco Mobile CRM application is a mobile CRM client that can be connected to various back-end systems, such as Microsoft Dynamics 365, Salesforce, Oracle CX, SAP, and its very own Resco Cloud (Resco CRM server). Please make sure the time, date, and time zone are set correctly on your mobile device, as this can cause issues when trying to synchronize the application with your CRM system. 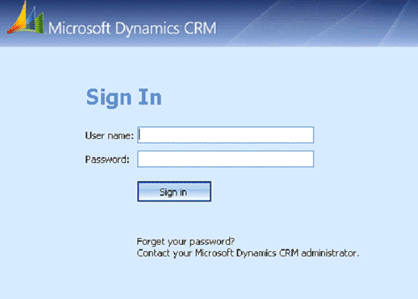 To synchronize the app with your CRM server, fill in the URL of your server, Username & Password. Which User Type should you use? There are altogether 3 options for the User Type — select the one that describes you. 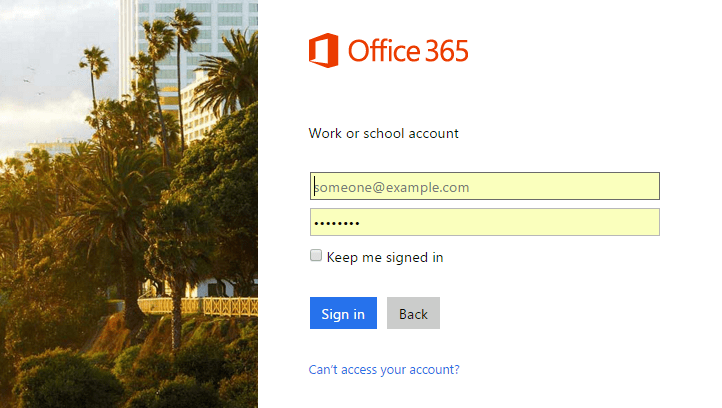 Everyone who is an employee and has CRM login credentials is a standard user. This applies to all types of professions: sales representatives, service technicians, marketing specialists, managers, etc. People who work with the company and need to access a personalized set of data — partners, agents, external distributors, vendors, suppliers, or clients — will use the External/Portal user mode. If you want to access the consumer application — you are either a customer, event participant, fan, visitor, or city resident (and were given only the URL and no Username or Password) — use the Anonymous External User option. Tip: Any company can create its own mobile application, branded with the company name, icon and color scheme, and have it published to the application stores. 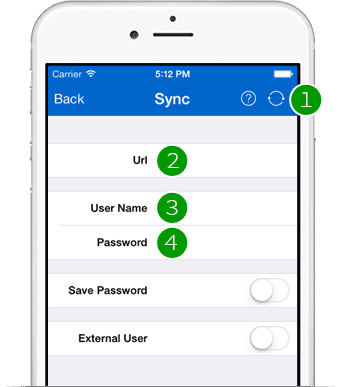 This app does not need to entail the synchronization window — people will directly access the content of the app, without needing to log in or type in the URL. This is especially useful for consumer apps scenario. What does the ‘Save Password’ option do? When switched on, the app will save your password for future use and you won’t be prompted to insert it again next time you synchronize the app. 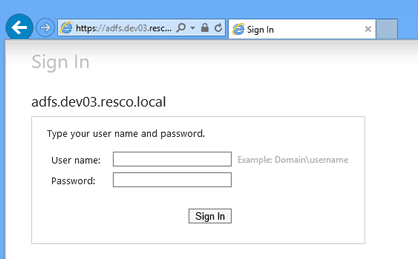 To be able to connect to Microsoft Dynamics CRM with the Resco Mobile CRM application, you need to expose MS Dynamics CRM Web Services and Authentication Services. Otherwise, you’ll be only able to synchronize the application only while you are connected to your internal network. 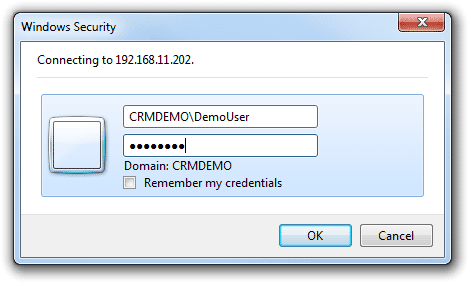 Internet Facing Deployment — this authorization type is used when you access your CRM server over the Internet. The safety of your data is ensured by encrypted HTTPS protocol. 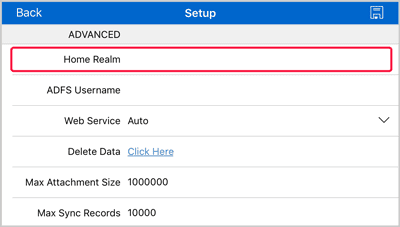 If your company uses multiple domains and the authentication is performed using multiple ADFS, you will need to set the Home Realm in the Resco Mobile CRM application’s Setup according to your MS Dynamics CRM settings. The application keeps a log of all unexpected errors. 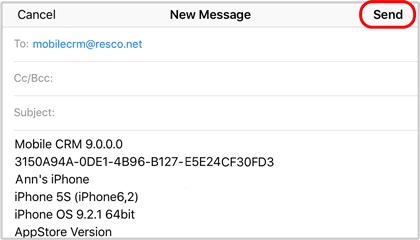 You can read and send the log file to us — go to the About section in the Resco Mobile CRM application and tap on the “Send Log” button in the upper right corner. This will open the log in an email application, already pre-filled with the support email address. Send the email and await for response. Once you’ve connected Resco Mobile CRM to your CRM system, it’s time to learn how to work with the application, how to customize it to fit your needs, and how to make the most of its functionality, which is continuously growing with each quarterly update. From user guides and manuals, to eBooks and videos, there’s something to explore for everyone.